First is Pieceable Puzzle. 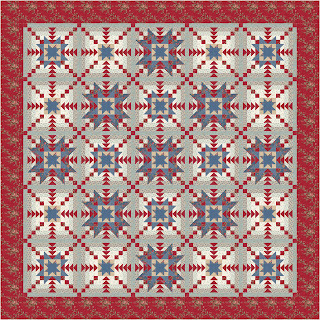 This is the quilt kit I bought several years ago only to recently discover that I'm missing half the fabric. Since I have to add fabric to it anyways, why not add even more and make it bigger? 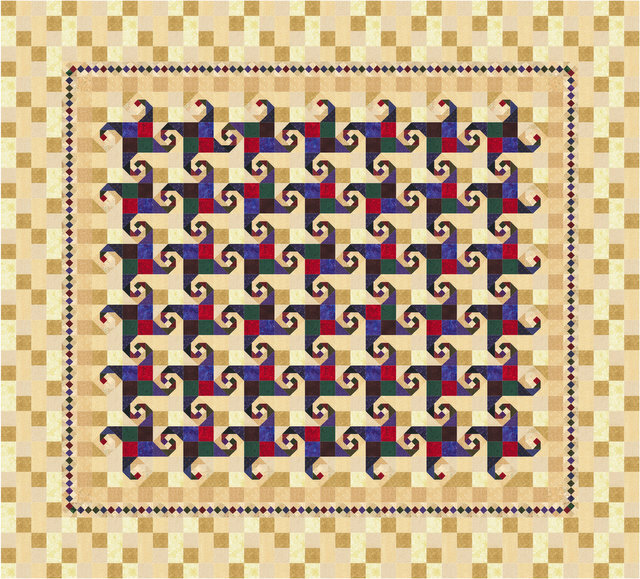 This first picture is the original quilt size in the pattern - 61" x 72". 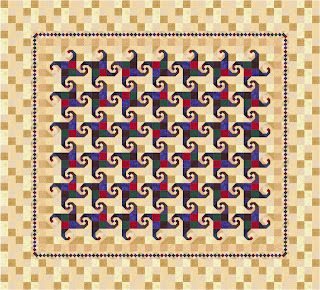 Pieceable Puzzle Quilt - 61" x 72"
I then resized it and added more blocks to make it 116" x 105. 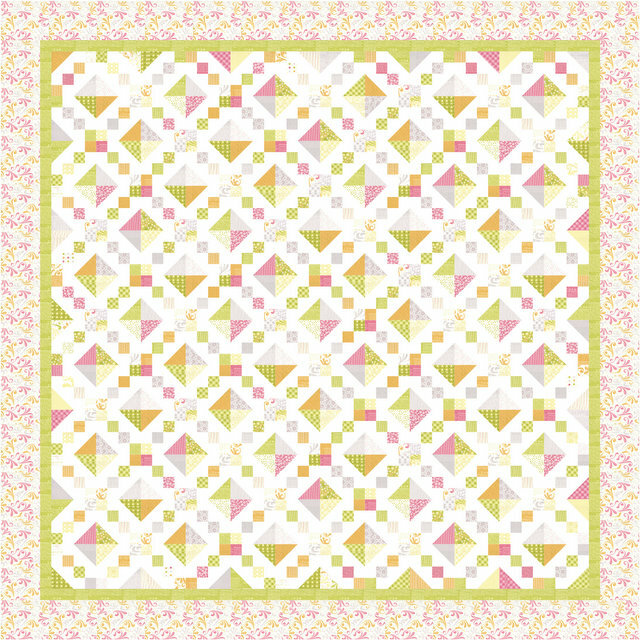 My version will be scrappier than this as I'm just pulling dark tones from my stash. 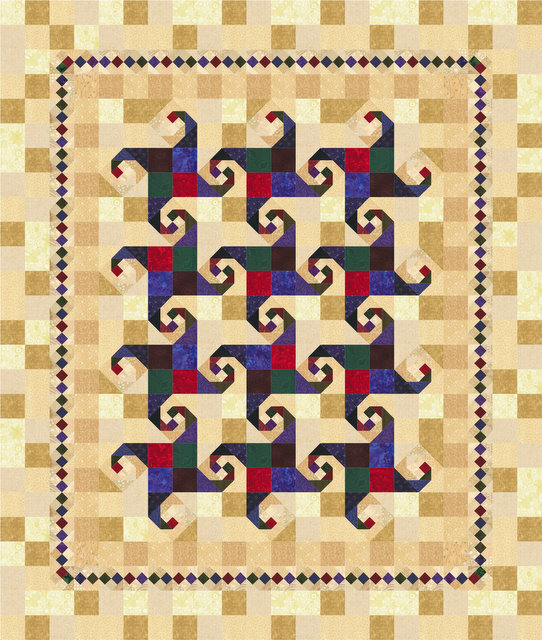 Also, the blocks in both quilts are the same size, they just appear smaller in this second one. 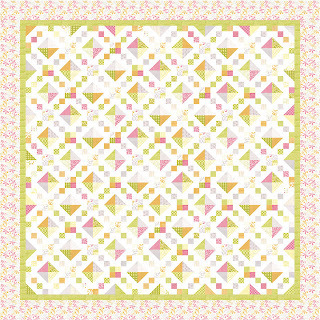 Pieceable Puzzle Quilt - 116" x 105"
Last week on Moda Bake Shop was a project called Sunkissed Jewel Box Quilt. Being so ready for Spring, the freshness of the colors really called to me. I downloaded and imported all of the image files for Sunkissed to create my own larger version of the same quilt. 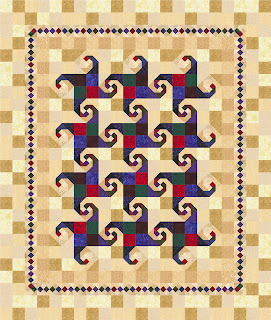 I also resized the blocks to 8" which would let me use pre-cut charm squares and jelly roll strips for its construction. My version is 114" square. I liked this one even better. 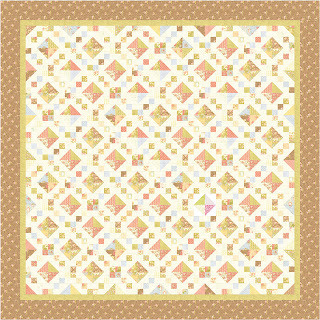 Plus I have all the fabric I need to make it except for the jelly roll and outer border (which I will rectify imminently). This one is definitely going on my to do list. While playing around, I came across this Echoing Stars quilt I drew up. I can't remember where I got the idea from, but it's not my design. I just redrew the blocks in EQ, resized it and changed the colors. This first version uses the red tones from Rural Jardin (I believe). It is 115" square. This second version incorporates the blues in that line as well. Your word is a lamp to guide my feet and a light for my path.